The draft text circulating now in Paris proposes a global energy transition 'over the course of the century', which is too far-off, and too vague to send a strong signal. We need to transition off fossil fuels by 2050 -- at the very latest. Communities on the front lines of climate change have been fighting -- and winning the fight -- for setting a very ambitious global goal of limiting warming to 1.5C. Delaying the transition to renewable energy until the end of the century would be a death-knell for that goal, and for millions of people facing rising seas, deepening drought and superstorms. No more empty promises. Tell negotiators in Paris to set a long term goal for a just transition by 2050 at the latest, and pledge to keep upping their ambition every 5 years. 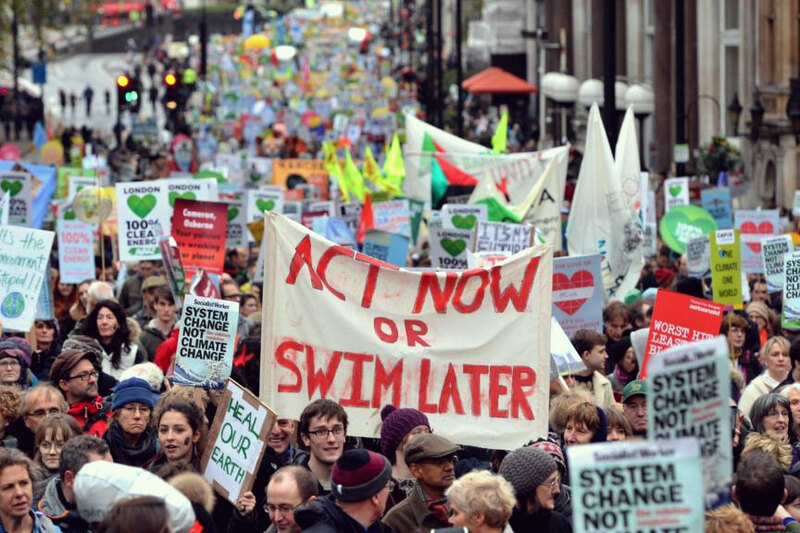 Listen to the demand for action echoing in the streets: keep fossil fuels in the ground. Transition to 100% renewable energy by 2050. The draft text circulating now in Paris proposes a global energy transition 'over the course of the century', which is too far-off, and too vague to send a strong signal. We need to transition off fossil fuels by 2050 -- at the very latest. Communities on the front lines of climate change have been fighting -- and winning the fight -- for setting a very ambitious global goal of limiting warming to 1.5C. Delaying the transition to renewable energy until the end of the century would be a death-knell for that goal, and for millions of people facing rising seas, deepening drought and superstorms. No more empty promises. 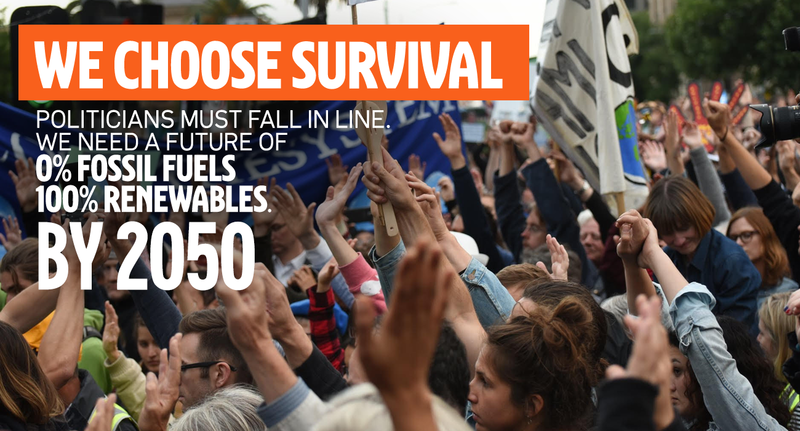 Tell negotiators in Paris to set a long term goal for a just transition by 2050 at the latest, and pledge to keep upping their ambition every 5 years.